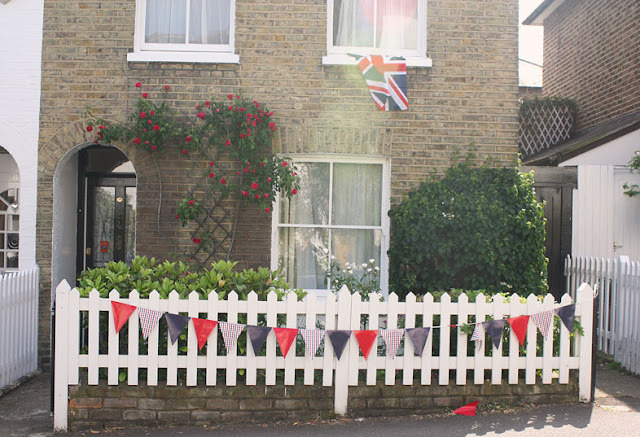 It's been a fun Jubilee weekend. 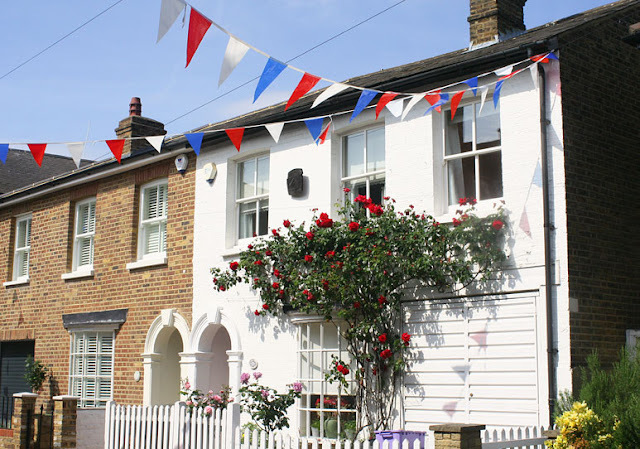 First off, I admit, we didn't go to any Jubilee events, but I've still genuinely enjoyed the patriotic spirit and cute flag draped homes. Originally we wanted to try and catch a glimpse of the royal family today, but the weather was cold and very wet. We opted for a day in with friends for lunch and church life group that we host. Besides, yesterday we got our share of crowds at one amazing Coldplay concert. Remember that anniversary surprise I had up my sleeve? Well, those were the tickets, and I successfully surprised him. They seriously put on an awesome show, complete with confetti, huge balloons, fireworks, and colorful-rhythmic-flashing bracelets for everyone in the crowd. I wanted to quickly say thank you to everyone who's been leaving thoughtful comments (and Facebook messages) on my more recent blog posts. I know I haven't responded to each of them individually, but I really appreciate the encouragement you've offered. I decided awhile back to open up a bit more on this blog, and I haven't regretted it. It's so uplifting to know that you're willing to not only read my posts, but to also offer support as well.